Serums have long been a part of our skincare regimen as it's known to have more concentrated active ingredients than our usual moisturizers. It penetrates deeper into the skin and gets absorbed a lot quicker too! 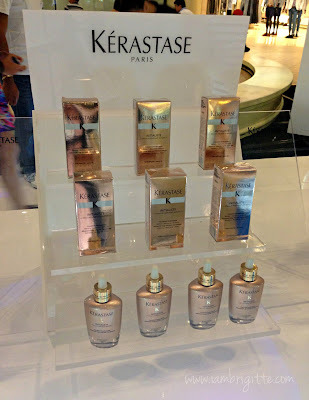 Did you know that Kerastase came up with a serum specifically for the scalp? 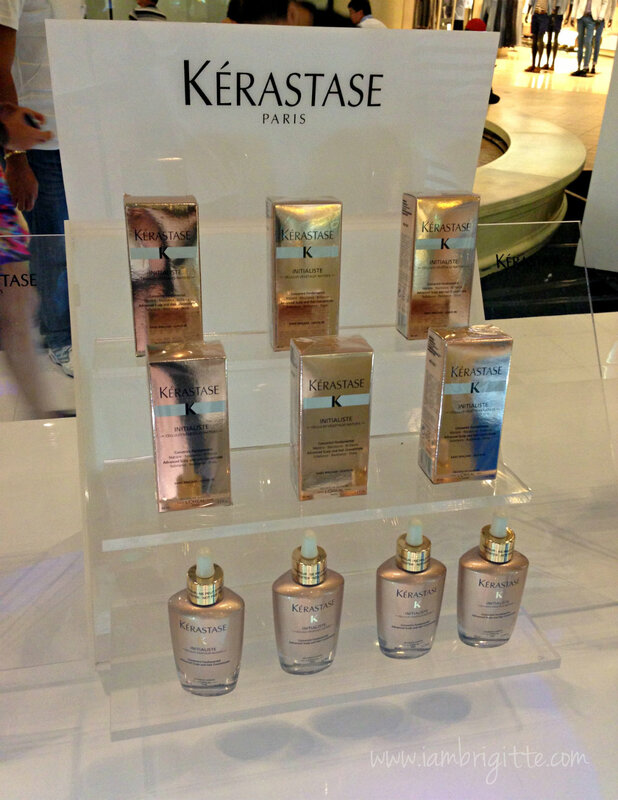 As we all know, one has to have a healthy scalp to have healthy hair. Think of our hair as trees, or flowers and our scalp as the soil. If the soil isn't well taken cared of, the flowers will not grow healthy. 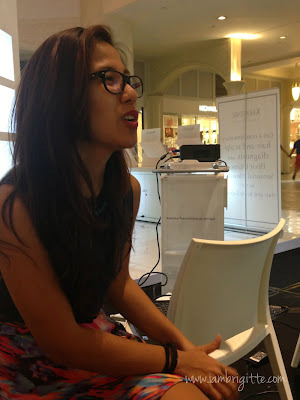 So to have long, strong and healthy hair, you have to make sure that your scalp is healthy and well-nourished. 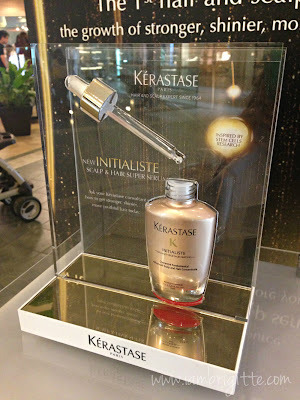 With Kerastase Initialiste, the brand's first ever skincare-inspired hair serum, having that long, shiny and strong hair no longer have to be just a dream. It has native plant cells from Malus domestica, or commonly known as apple. These unique plant cells are said to help maintain the regeneration of human stem cells. If you can still remember my Cell Booster Infusion Mask with Flawless, the mask that was used also has plant cells from apples. Aside from the plant cells, it has ingredients that will protect the scalp from other factors such as stress and pollution, allowing hair to to grow healthier from root to tip with less breakage. 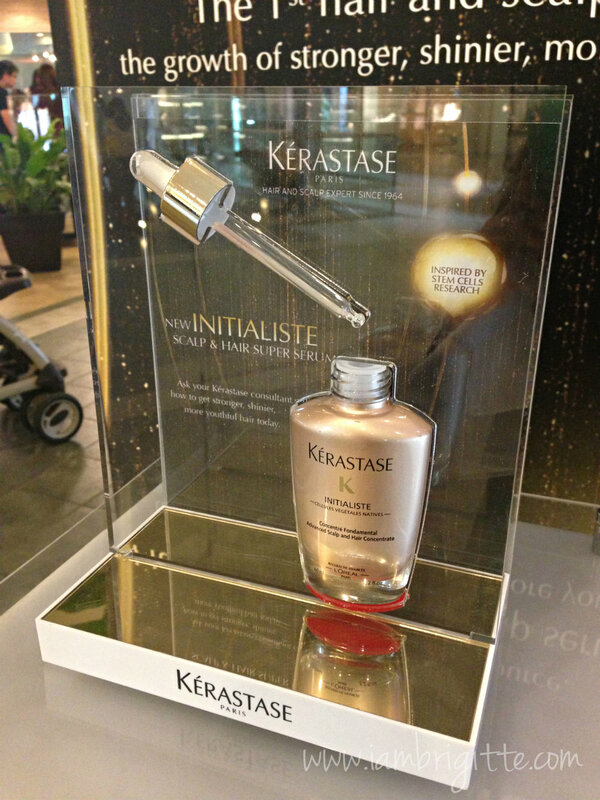 In one week, hair becomes softer, shinier, thicker and stronger. 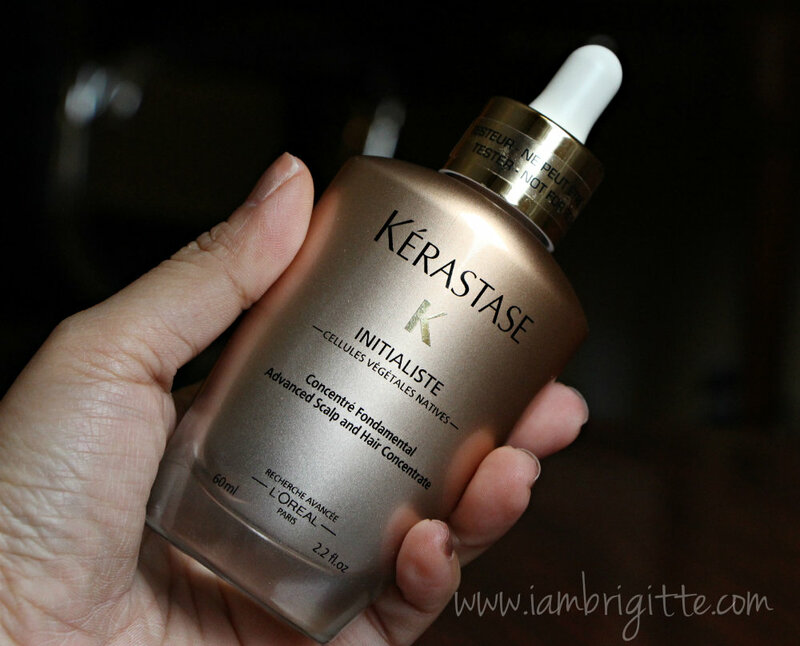 In short, this is a must-have for those with baby hair-like strands like me who also suffer from hairfall due to breakage. Eversince I had my hair curled, my hair became a lot more demanding when it comes to taking care of it. I had to make sure I condition it a lot and that I am not using hair products that will further damage my already damaged hair. But yeah, now I know haircare must start at the scalp. 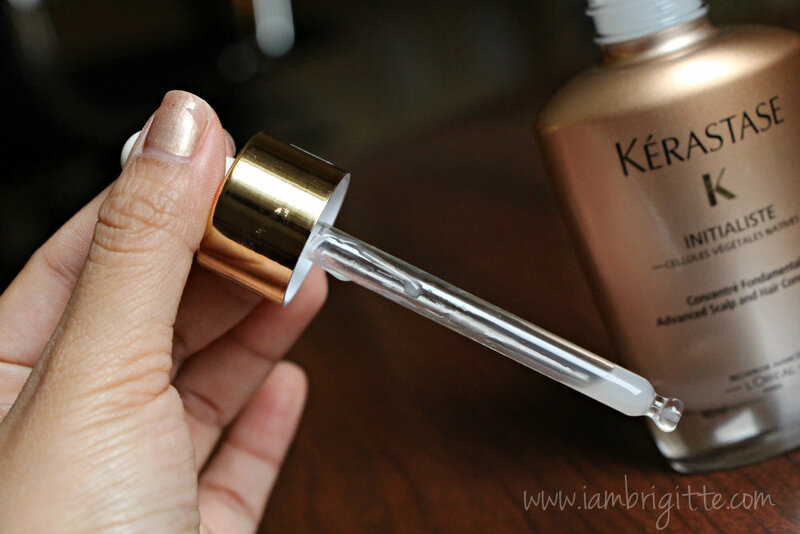 With this serum, there's still hope to my hair. Whew, I was so close to thinking of just cutting it off. First my hair was checked. My scalp's fine but my hair strands are dry. (eek!) 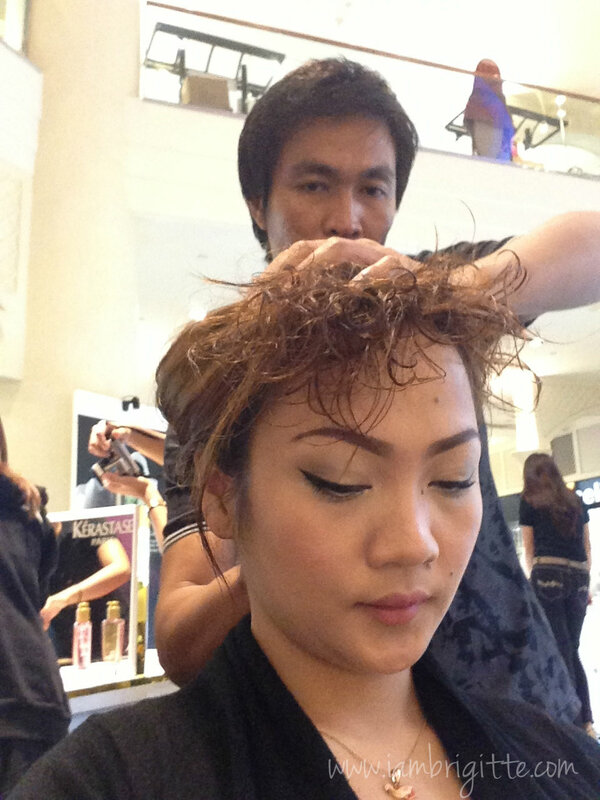 The stylist also told me that I need to have my haircolor retouched too. Which I did before I left PH but now I think I regret having it colored this light. Ugh. 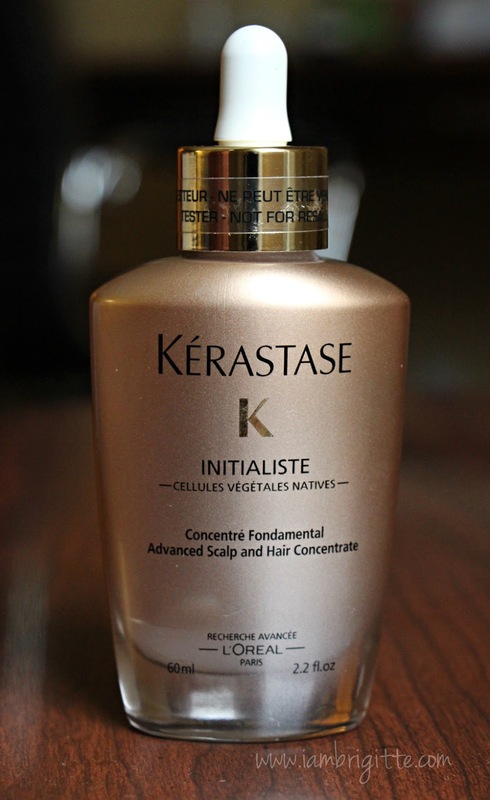 My hair was sectioned and then the product was applied to my scalp. Good thing the serum comes with a dropper, makes it a lot easier to apply! 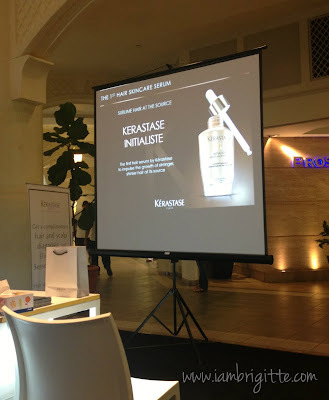 Then the product is massaged onto my scalp so it will be absorbed a lot quickly. The serum has a cooling effect on the scalp, which is very relaxing. It also has a fresh, delicate smell and it doesn't make my scalp or my hair oily after. 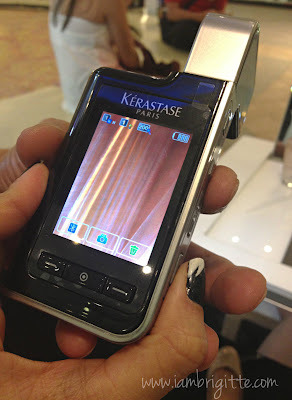 It's been a month since I started using it and I noticed that my hairfall is not as bad as before. 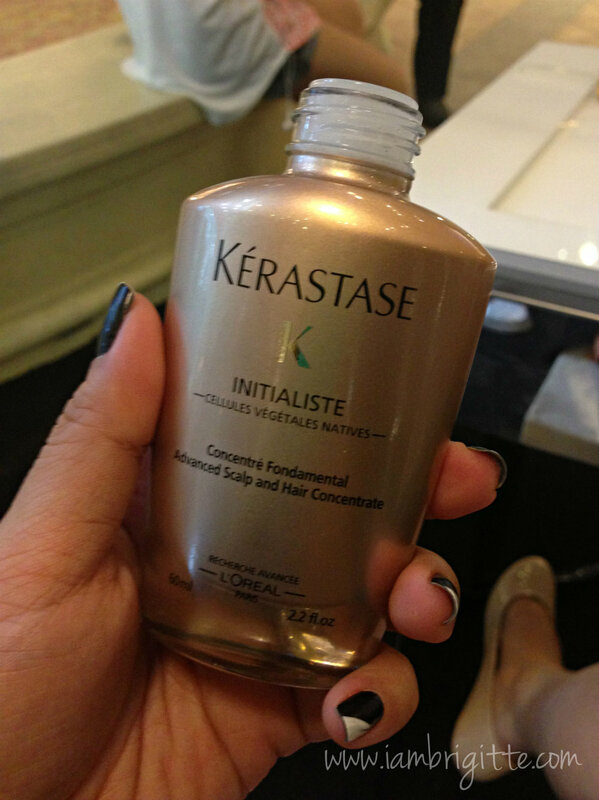 Right after application, I can instantly feel that my hair becomes softer and with less tangles. It's like the serum is giving life to my already-dead hair. (laughs) My hair is still fine though, so I can't say much about the thickening effect. Maybe when I continue using it for a few more months. 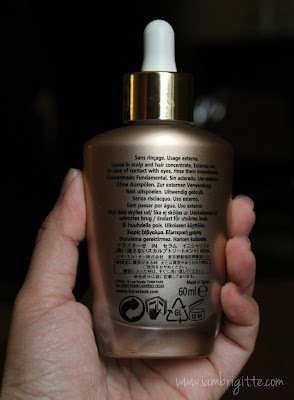 Priced at Php2850 for a 60ml sosyal-looking bottle, this baby is not cheap. I've already finished my first bottle, and will get another one soon...maybe when I get a job? (laughs) It's expensive, yes. But worth it.